Samsung has added the BBC Sport App to its Smart TV arsenal offers users access to the best sports coverage with live streams, on-demand video and additional content of all the major sporting events available. This brand new app will feature next to BBC iPlayer on the Samsung Smart Hub and will join a growing collection of sports apps available on the Smart TV store. BBC Sport app viewers will be offered a range of alternative coverage options during Wimbledon including access to additional matches, a choice of audio commentary options, stats and rolling highlights. Tennis fans will be spoilt for viewing options. Expanding well beyond SW18, F1 fanatics will be offered the chance to get right to the heart of the racing scene with full coverage of practice and qualifying sessions during next week's British Grand Prix available. Additional extras including on-board cameras and the 'driver-tracker' that pinpoints exactly where each car is on the track at any time are also to be offered up by the sport loving content service. Looking forward to the Olympics, but haven't got tickets to your favourite event? The BBC Sports App will be showcasing 2,500 hours of content, including streaming up to 24 events simultaneously with a choice of audio options, plus access to the medal tables. The BBC Sports App is available now on Samsung Smart TVs via Samsung Apps. Are you a Samsung Smart TV owner? 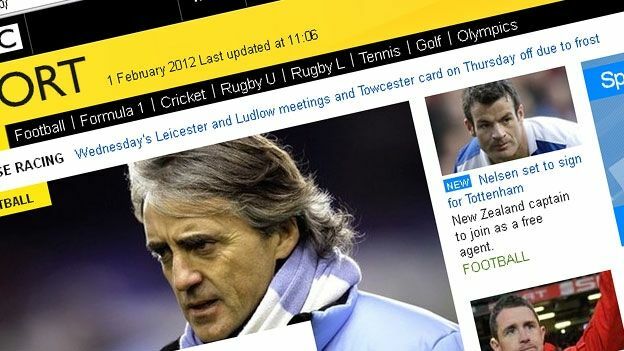 Will you be adding the new BBC Sport App to your service as soon as you get the chance? Let us know via the T3 Twitter and Facebook feeds.